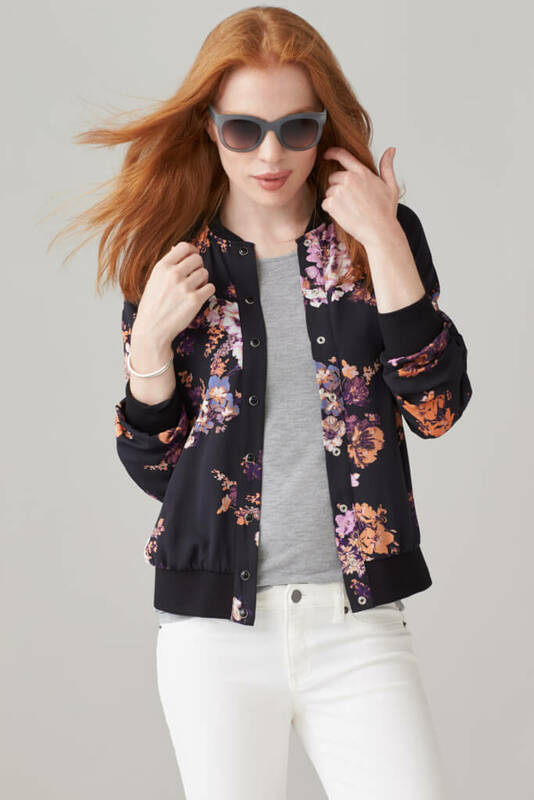 With bold botanical motifs trending this season, now is the time to add this a floral jacket to your wardrobe. Wear it to the Office: Try a streamlined style with a crisp white button-up and paired with dark wash skinny jeans and stacked heels for a desk-to-date outfit. Wear it to Brunch: Show off your chic street style in a pair of distressed boyfriend jeans with a slouchy half-tucked tee and the jacket. Finish the look with a colorful clutch and lace-up D’Orsay flats to be the best-dressed at brunch. Wear it for a Date: Embrace an edgy look with this feminine, floral jacket by pairing it with a faux-leather pencil skirt for an outfit that’s sure to impress. Pair it with a silky, strappy tank and minimalist heels for a sartorially sound outfit that’s sure to impress. Whether it’s your first time tip-toeing into the garden or if you love going full-on floral, you’ll find yourself reaching for this stylish topper all season long. What are your thoughts? Share your opinions in the comments below!